The PolarQuEEEst detector (in yellow) on board sailboat Nanuq. Every second, each square centimetre of us and our Earth is hit by about 10,000 cosmic rays. These charged subatomic particles have a profound impact on our climate, but had never been measured in the High Arctic at sea level… until now! 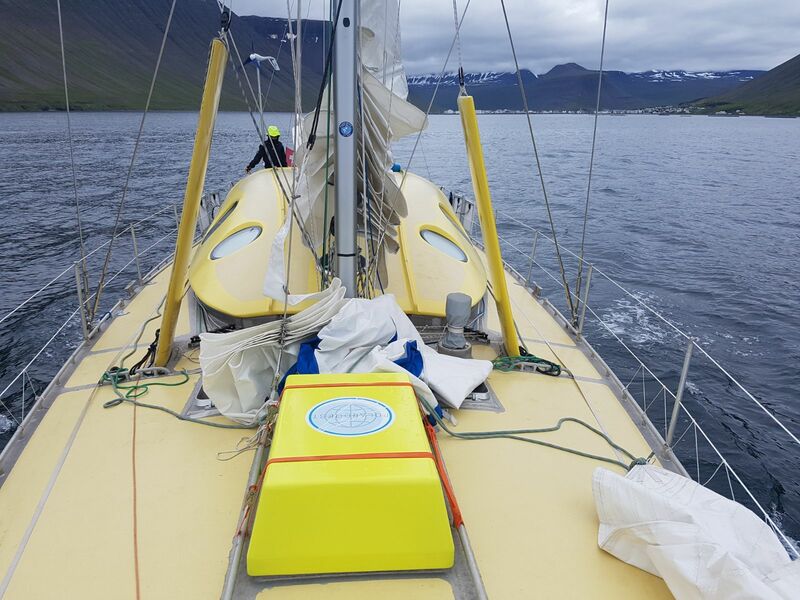 On board a boat sailing in the high Arctic, around the Spitzbergen, well above the polar circle, a special detector is catching cosmic rays coming from the distant regions of our universe: PolarQuEEEst, a project by Centro FERMI Rome. Built at CERN and operated by physicists from INFN Bologna and INFN Bari, PolarQuEEEst is the first detector to measure sea-level cosmic rays at high-latitude. 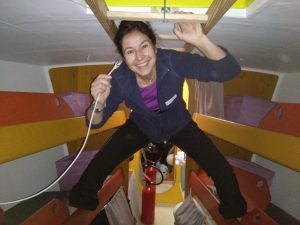 CERN physicist Ombretta Pinazza on board the sailboat Nanuq, connecting the data transfer cable to PolarQuEEEst detector. 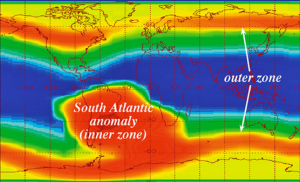 The South Atlantic anomaly. Could a similar phenomenon be present in the arctic circle? New measurements of cosmic rays can also provide insight into our climate. These rays play an important role in the formation of clouds, which in turn affects the penetration of solar radiation into the Earth’s atmosphere. The more clouds, the cooler the temperature. This is our current understanding of the temperature fluctuations of our planet over the past millions of years. The PolarQuEEEst detector isn’t alone in its mission. 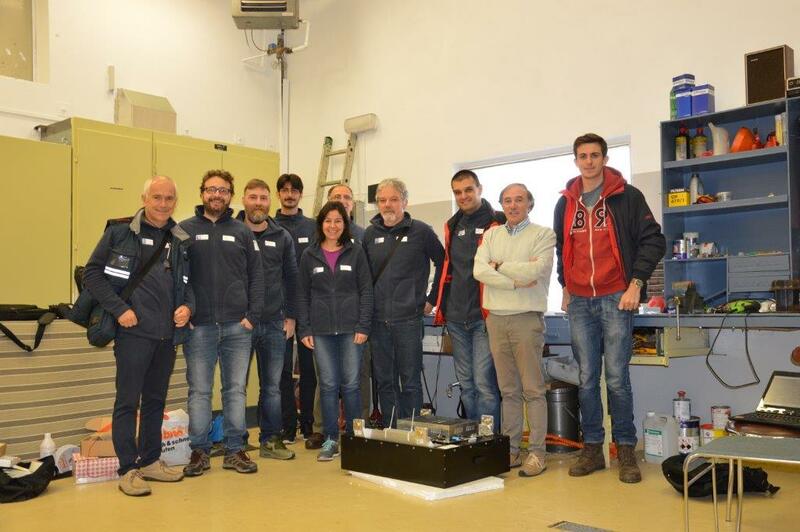 As part of the Extreme Energy Events (EEE) project coordinated by Centro Fermi, it is synched with cosmic ray detectors across Europe. “These detectors can work together to create an extended observatory, allowing us to ­­­examine the cosmic ray flux from multiple points on the planet at the same time,” says Gnesi. 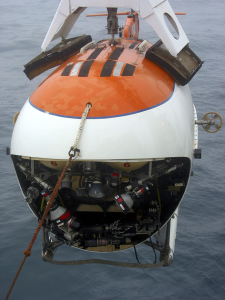 While the design of the PolarQuEEEst detector based to those in use on land, it has had to be significantly adapted for life at sea. The team was tasked to create a detector of equal efficiency, but less than half the size, robust enough to withstand heavy waves and only consuming 12 W of power! They rose to the occasion, and PolarQuEEEst’s excellent operation throughout the journey is a credit to their great work. 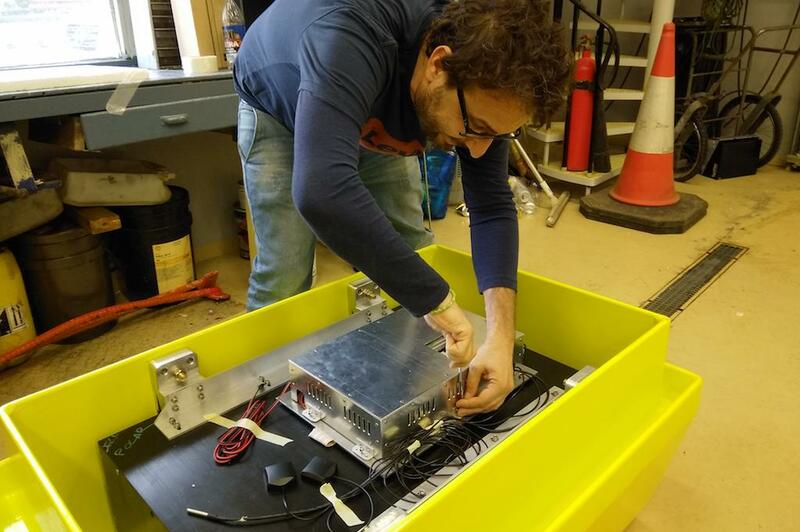 Follow the PolarQuEEEst detector’s journey from the PolarQuest website, or by following the project on twitter and Facebook. The PolarQuEEEst team in Iceland with the detector. Making final adjustments to the detector before loading it onto Nanuq. Professor Zichichi is founder and first President of Centro Fermi, and a supporter of the PolarQuest project. This is not the first time Professor Zichichi has sent cosmic ray scintillators to the North Pole. In 2007, he entrusted two scintillators to Russian polar explorer Artur Chilingarov, who, in an unprecedented and perilous mission, descended 4500 m under the exact geographical North Pole in a deep-sea submarine, to drop a Russian tri-color cast in titanium onto the seabed. During the operation, he measured the cosmic ray flux under the North Pole using Prof. Zichichi’s scintillators for a couple of hours.